Authentic Italian cuisine – always claimed, but never really earned. 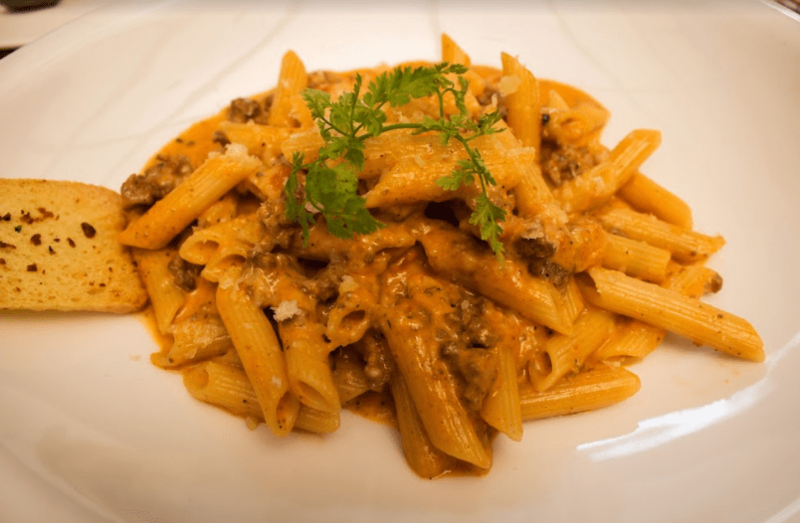 Italian restaurants in Malaysia are often described as being authentic, but one bite of their food and I know the flavour has been compromised to suit the Malaysian palate. However, Nerovivo was different. I had heard so many good reviews about Nerovivo from Italians themselves, so I went over to Changkat Bukit Bintang to see what the fuss was all about. First of all, the restaurant looked different – almost like somebody transported an Italian deli all the way to Malaysia, with an outdoor woodfire pizza oven, al fresco seating and glass-and-wood decor. It was very welcoming, and my colleagues and I fell in love with the aesthetics of the restaurant immediately. 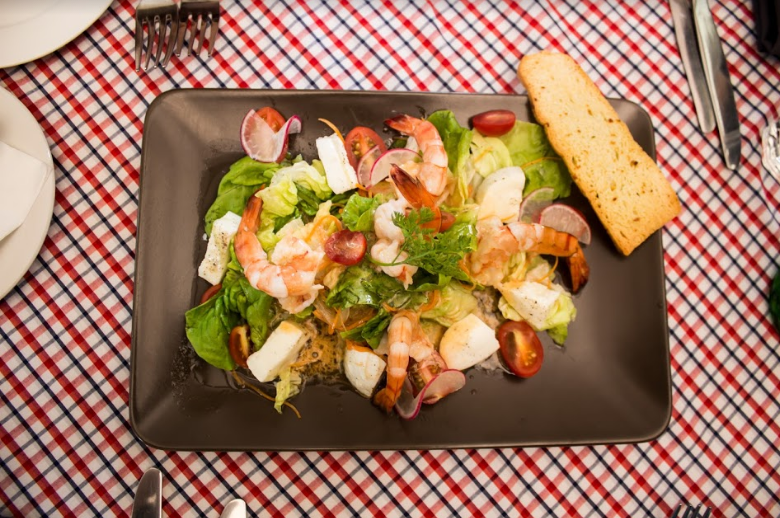 The first dish we were presented was the Insalata Nerovivo, which had lettuce, carrots, tomatoes, radish, a sprinkling of mozzarella cheese – all topped with a few tiger prawns, which felt like cherries on top of the cake. The salad was zesty, crunchy and sweet (thanks to the fresh prawns) and it flew in no time. The mozzarella cheese had some serious bite to it! Next came the Clam Marinara, which was hands down the best dish of the day for me. 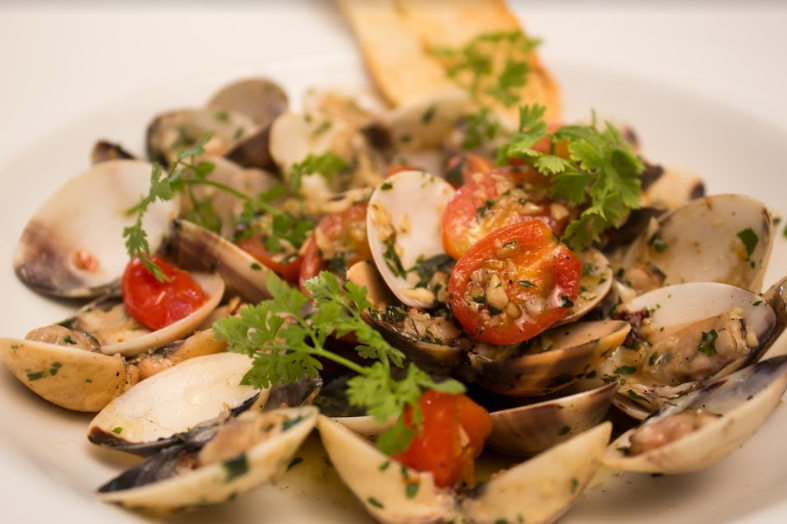 It is a pretty simple dish – clams sauteed in garlic, chilli, Italian parsley with a dash of white wine and brandy but boy, did I melt at the taste! The amalgamation of flavours was wonderful and the clams were fresh, juicy and bouncy, just like how they should be. I am convinced descriptions do not do the dish justice, so let me just say this is a MUST-TRY. After the antipasti came the entrees – which were the Macaroni 3 Sapori and the Gnocchi Sorrentina. The macaroni was loaded with beef ragout, bechamel sauce and topped with parmesan. As I am not a beef-eater, I asked my colleagues to describe the dish to me and got songs of praise in return. I did try the gnocchi, served with tomato sauce, basil and cheese, and I liked it despite it being basically a vegetarian dish (which I usually avoid – ahem). 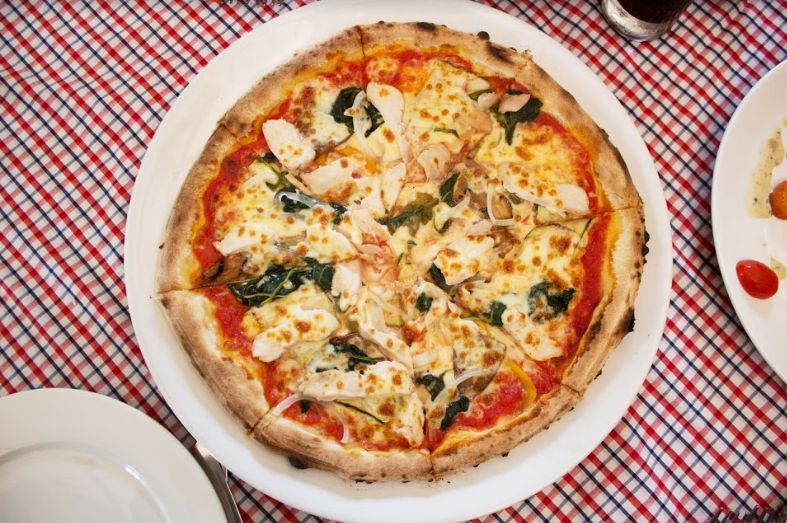 The pizza we were served was the Capricciosa, which is a Naples staple (pardon the rhyme) and was very authentic, with a crispy crust and a generous helping of mozzarella, topped with fresh eggplant slices, capsicum, zucchini, onions and chicken shreds. Very classic and very tasty, with none of the chain pizza heaviness. Of course we didn’t skip the secondi, even though our tummies were protesting. We tried two of them: the Filleto Nerovivo and the Pollo and Funghi. The Filleto dish, which consisted of tenderloin slices basted in red wine with vegetables on a bed of mashed potato, was my colleagues’ dish of the day – they described it as being light and creamy, with melt-in-your-mouth beef slices and rustic mashed potato. 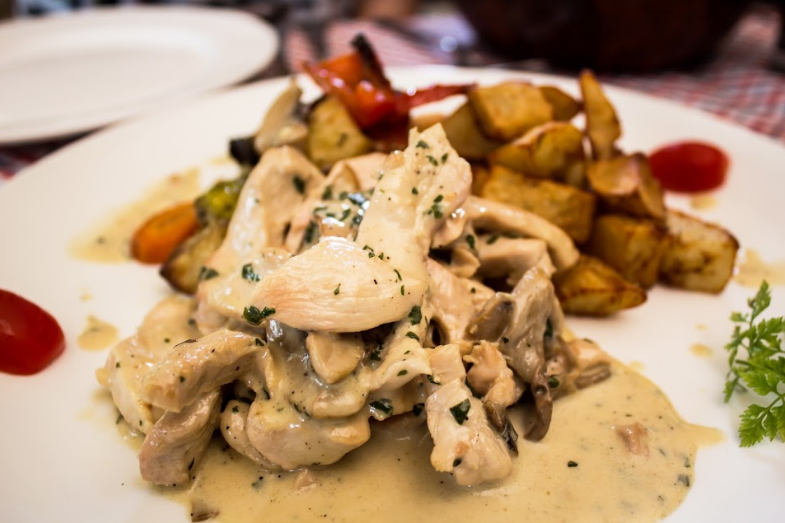 The Pollo and Funghi was lean chicken meat with mushroom sauce and roasted potatoes – another winner in my book! We ended the food review with a glass of limoncello, a lemon-flavoured liquor, and some good conversation – in the end, I felt slightly tipsy, very happy and almost Italian!